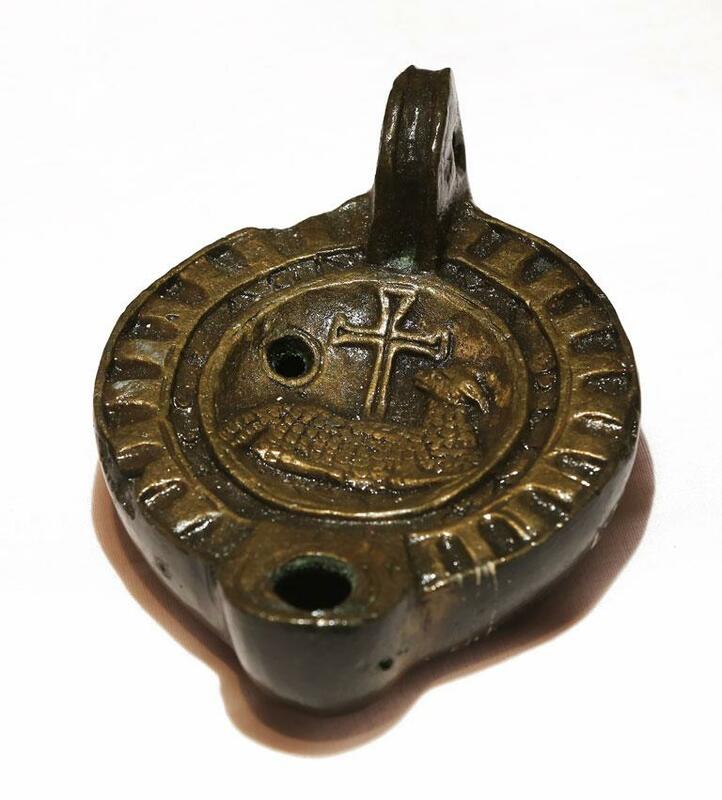 This is a bronze lamp from the Catacomb of Rome. The lamp has two parts. The upper part has a spout and the lower part has the fuel chamber. It is round with a closed body and with a central disc decorated with a cross and gout.